Improving your sleep quality has never been easier! It’s time to replace your old and flat pillow with our revolutionary memory foam pillow. Memory foam is a great invention and it has been widely used in many places where comfort is crucial, including hotels and hospitals. You will be amazed how much better your sleep will be with this pillow. 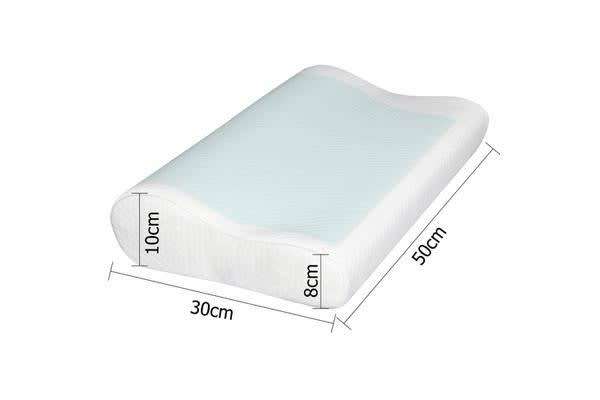 You are looking at a high density memory foam pillow in a contour shape which provides extra support and conformation to your neck and shoulder. Topped with a comfortable cool gel layer on one side, it gives you the feel of sleeping in a cool and comfortable cushion which is helpful to put you to sleep in a few minutes! This high quality yet affordable pillow is all you need to improve your sleep quality.